Green Chutney – Restaurant Style is a yummy side dip provided in restaurants with appetizers or snacks in India. 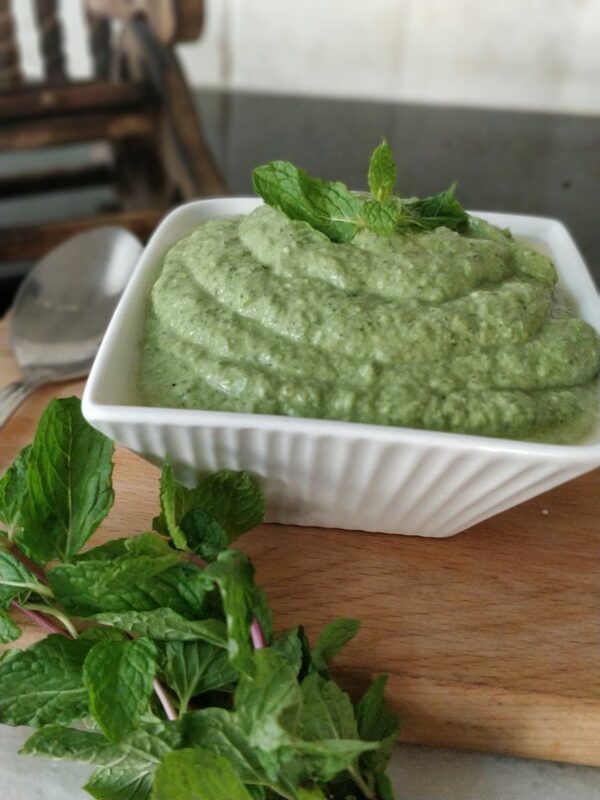 Ever wondered how to prepare green chutney at home and make it taste the way they serve at restaurants, If so here is the recipe for you – Restaurant Style Green Chutney! This is an addictive and very yummy side dip which once made would want you to make it again and again. So, try to make this chutney at home and let us know how you liked it. Add coriander, mint, green chilli, onion and garlic in a grinder mixer jar along with 2 tablespoons of water. Churn it for 5 minutes or till it becomes a fine paste and take it out in a bowl. Take hung curd in a large bowl and add the green paste, all the spices and oil and mix them properly. You can use this as accompaniment with any snacks.